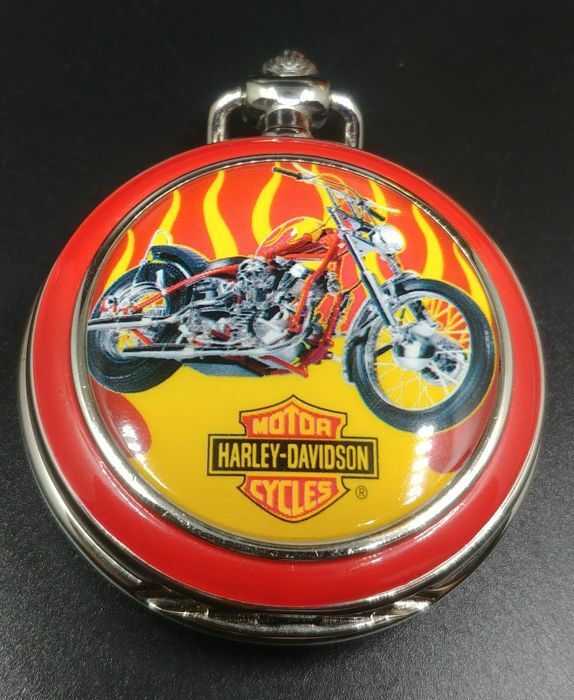 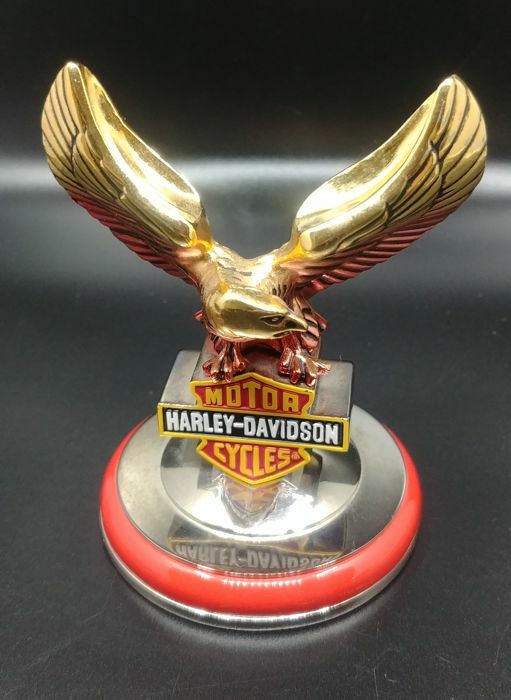 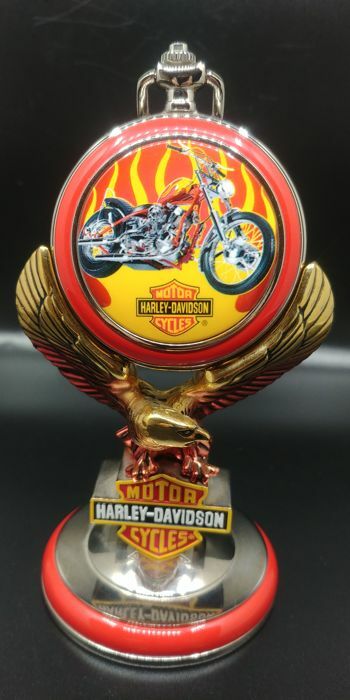 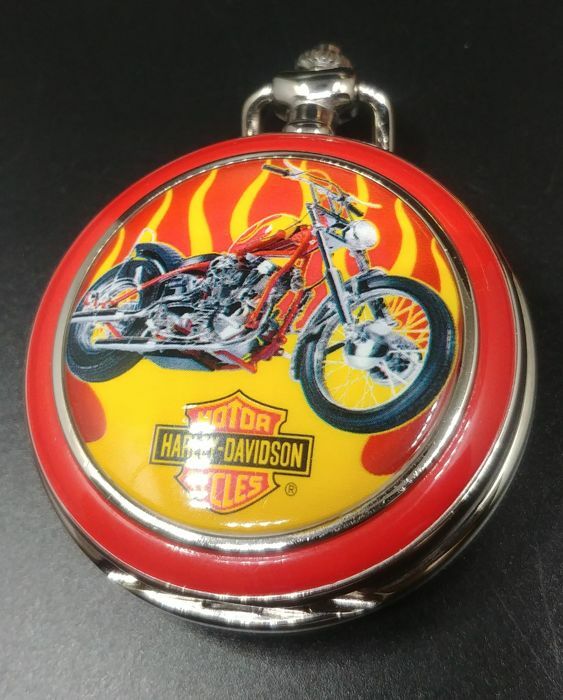 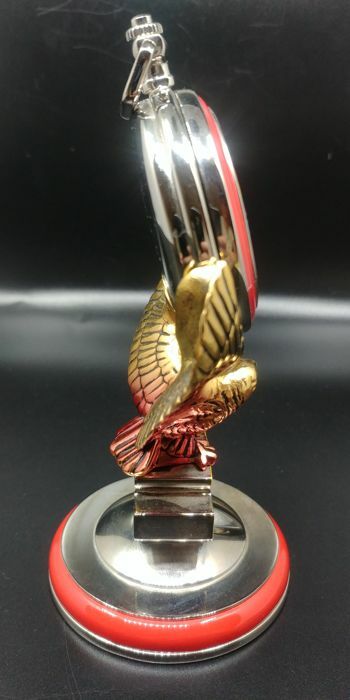 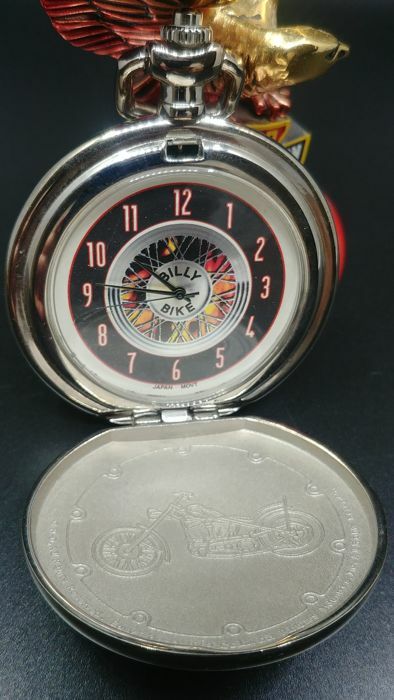 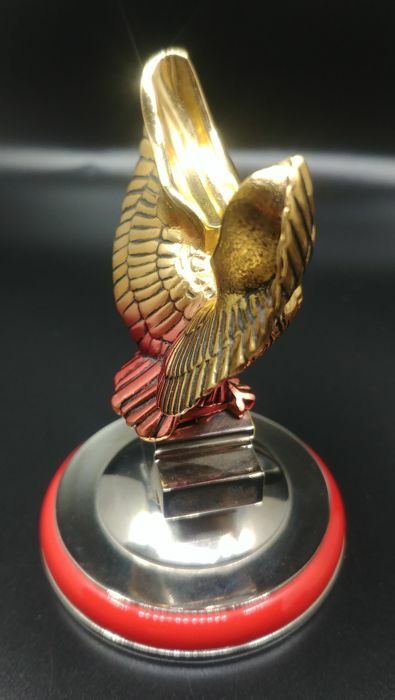 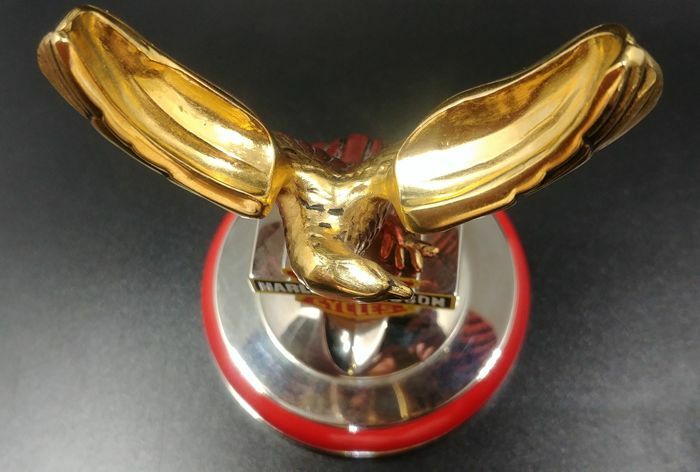 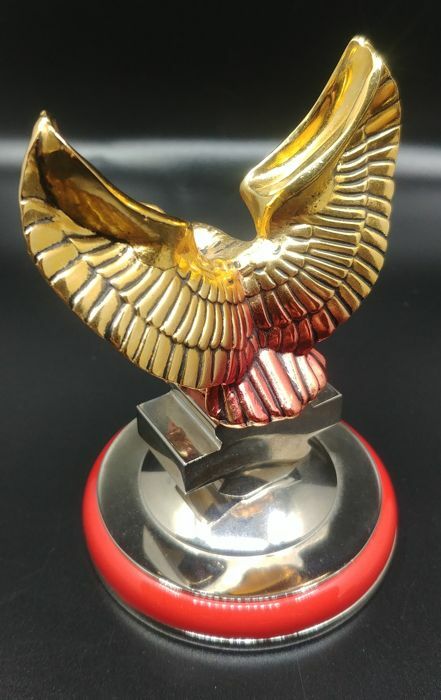 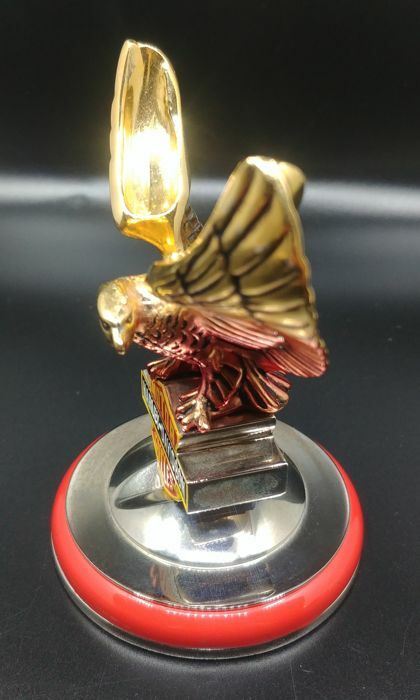 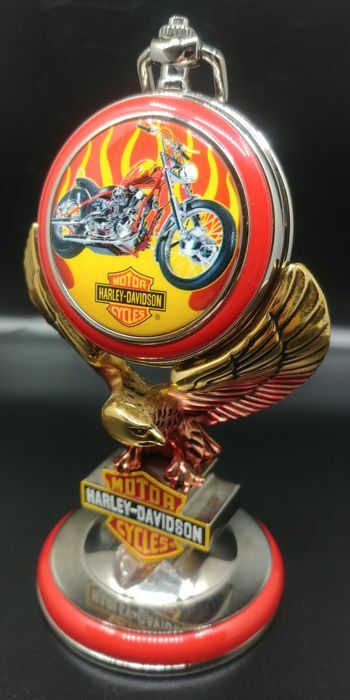 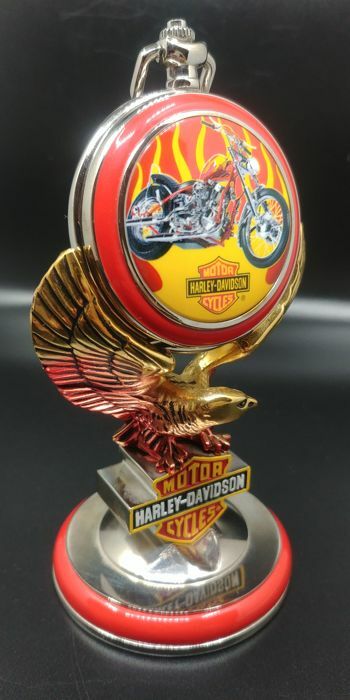 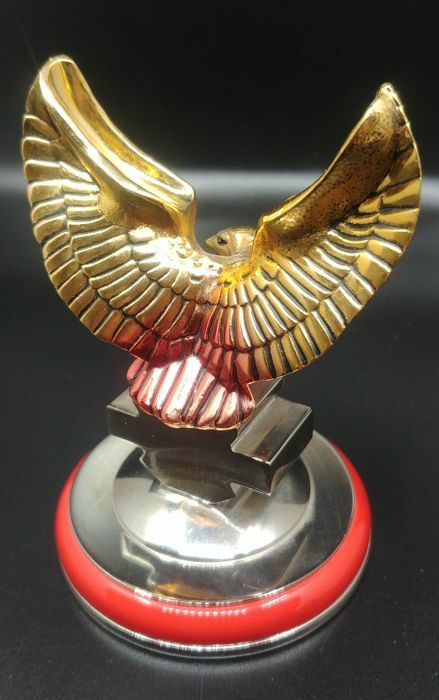 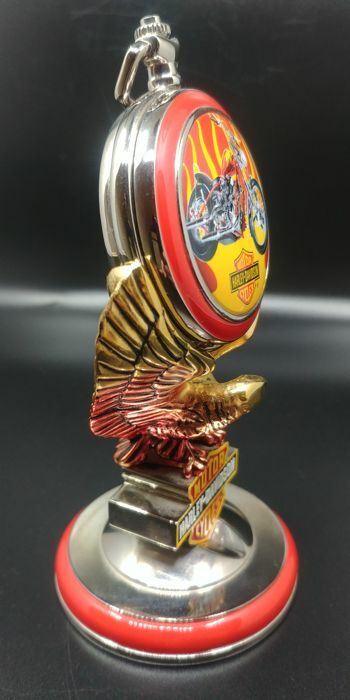 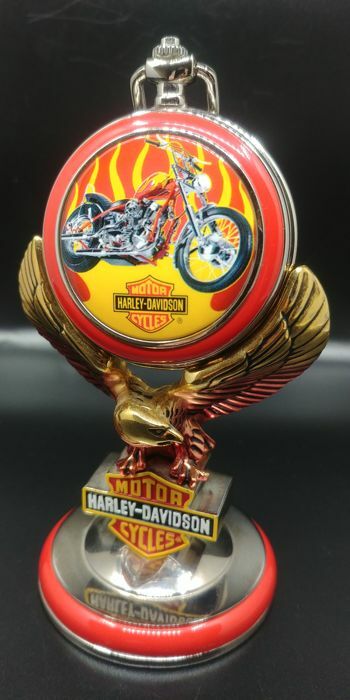 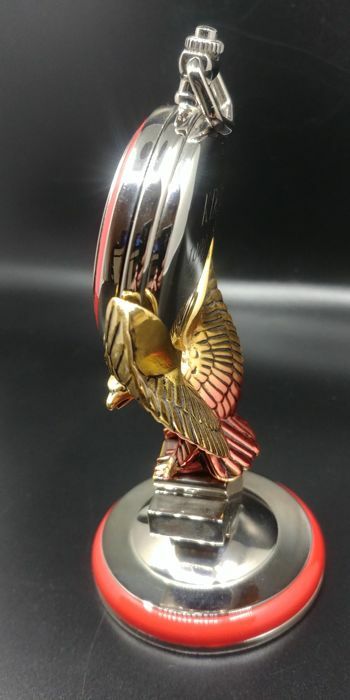 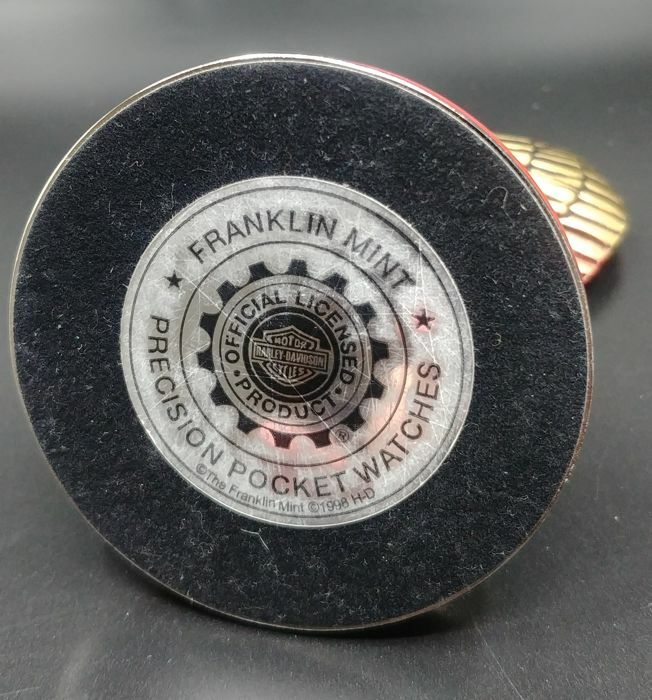 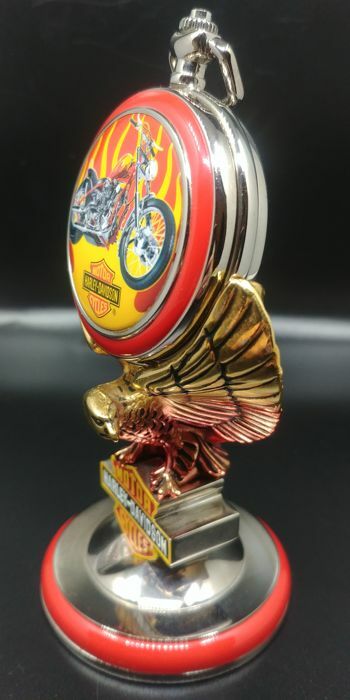 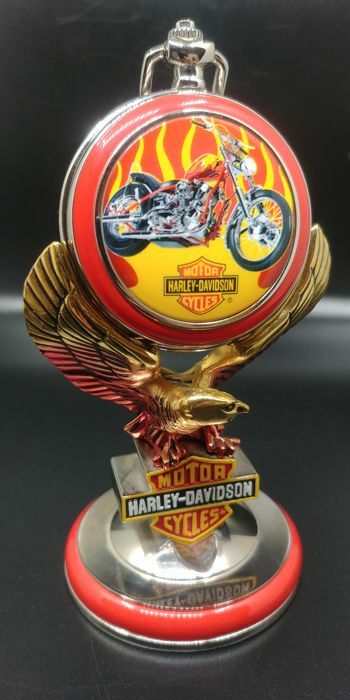 Franklin Mint Harley Davidson Billy Bike Pocket Watch with Stand. 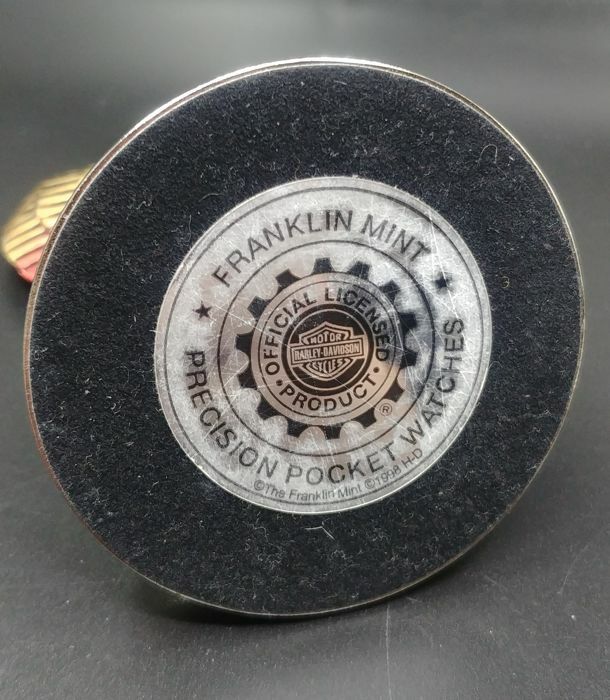 The watch measures about 3 inches, and the stand measures about 4 inches tall. 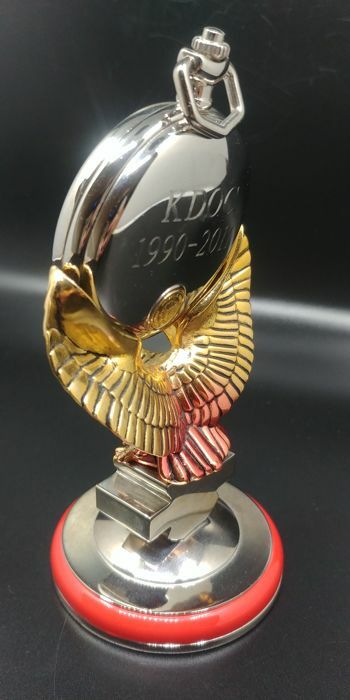 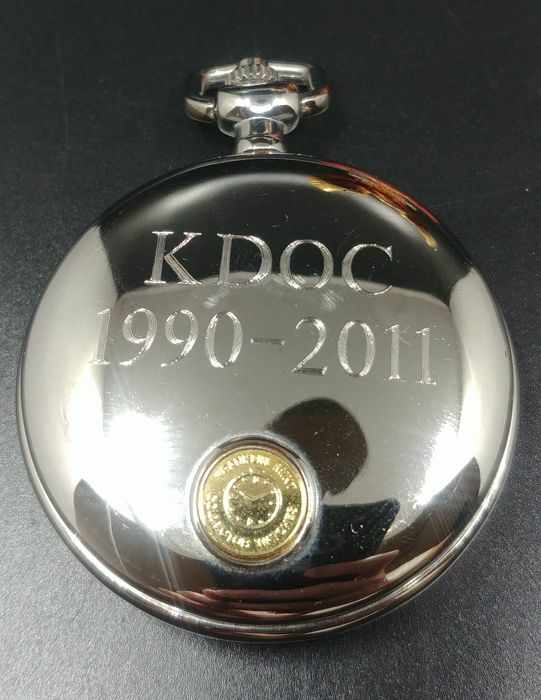 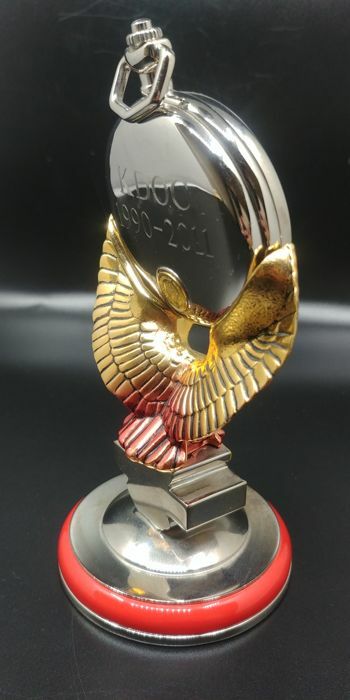 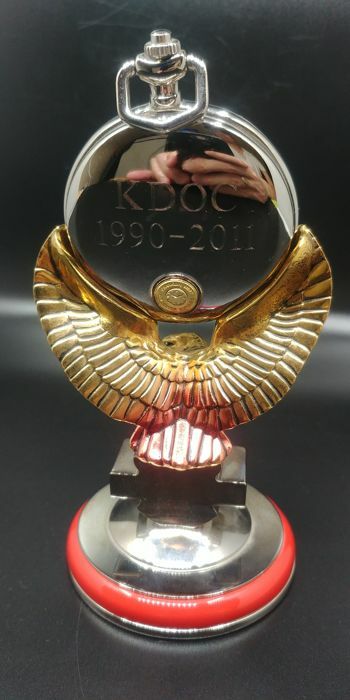 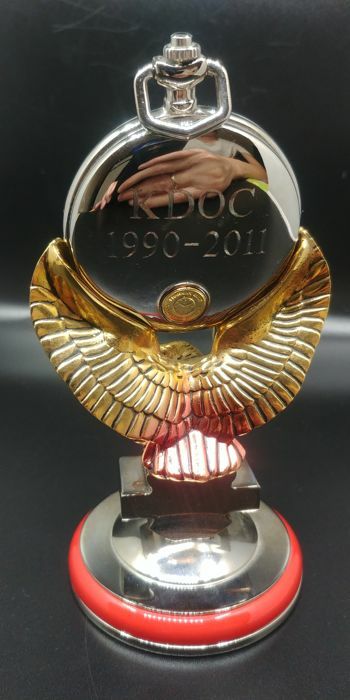 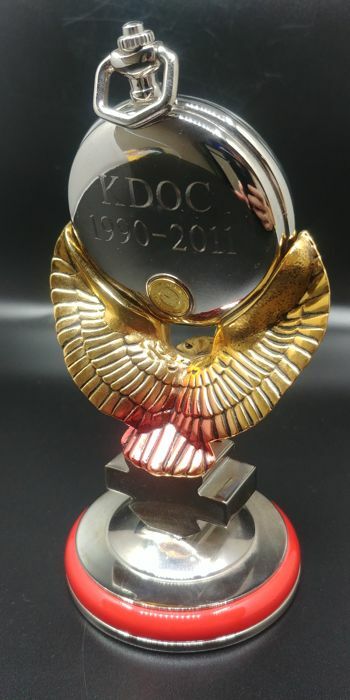 The back of the watch marked KDOC 1990-2011, no idea what does it mean. 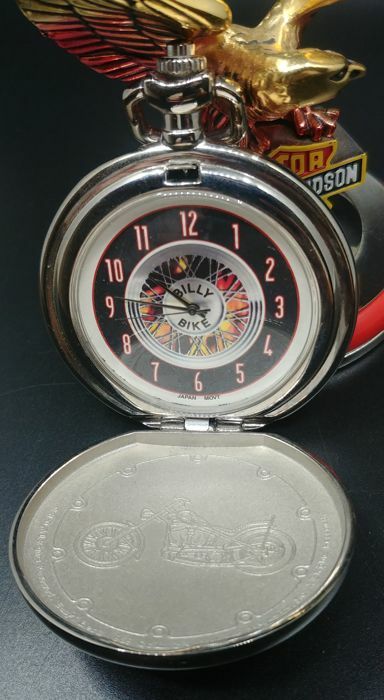 We do not know the clock runs or not, as we have not removed the back cover.